Preview of the new YouTube Interface. A week ago, YouTube rolled out their new Channel Interface. I think when you roll out a new product, you should be really excited about it. Rather than trying to explain it to you. I made a very short video to show you what it looks like. 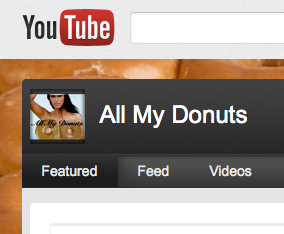 Take a look at the New YouTube Interface and you be the judge. I don't think I have to wait around for your opinion. You're probably as underwhelmed as I am. I said, "Here's the New YouTube Interface and you be the judge."